Dame Judi Dench is set to light up our screens this autumn in the much anticipated Bond film Skyfall but, according to reports, she has also signed up for another meaty project next year. The film is based on the real-life story of Philomena Lee, a young unmarried Irish woman who was forced to hand over her son to the Roman Catholic nuns supposedly caring for her in 1952. 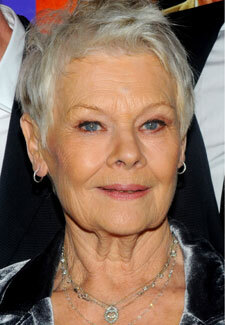 Judi will play the older Philomena, who recounts her story to BBC journalist Martin Sixsmith (played by Steve Coogan). The pair then join forces to find Philomena’s child, with surprising consequences. Filming is due to begin early next year before Dame Judi takes to the stage in London’s West End for Peter and Alice, acting alongside Bond co-star Ben Whishaw.